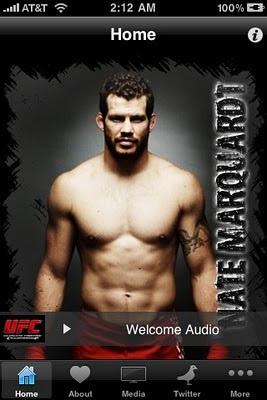 Nate Marquardt: Nate the Great iPhone App!! Go to the App Store on your iPhone or iTouch and search "Nate Marquardt" or "NateTheGreat" and you will find my App! The App will be updated with videos and pictures. Let me know how you like it!